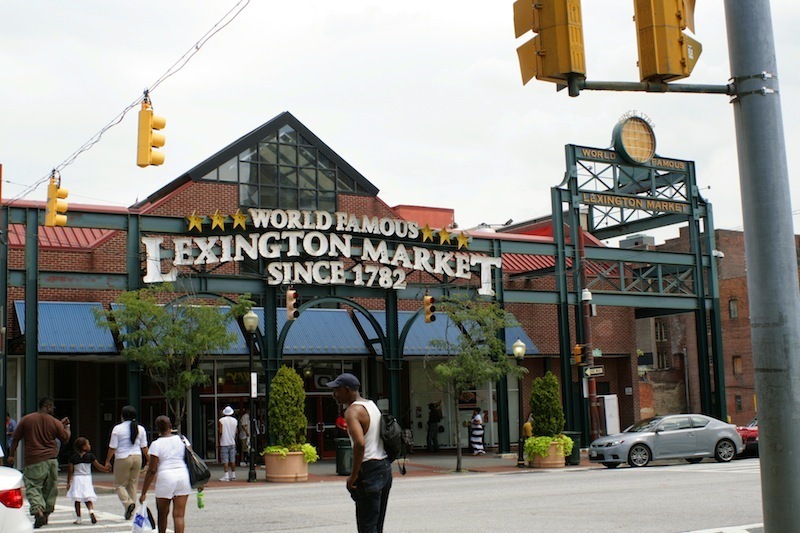 The "gastronomic capital of the world" declared Ralph Waldo Emerson on a visit to Lexington Market. 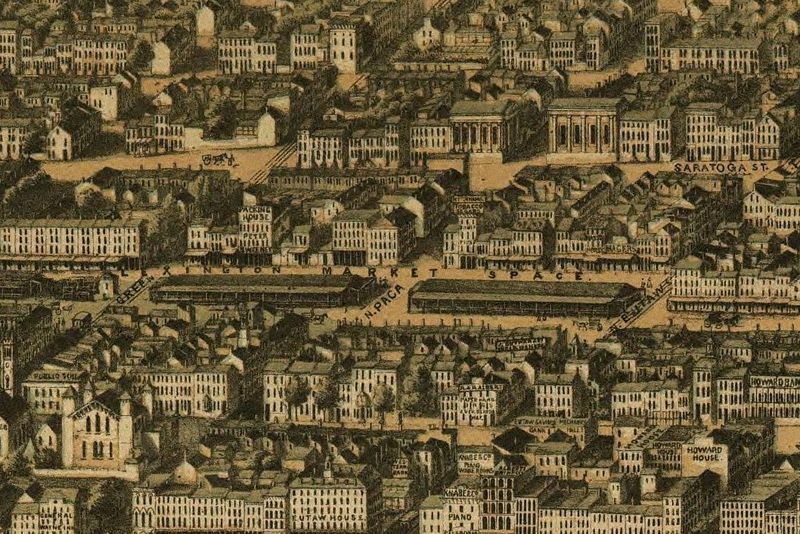 Originally known as the Western Precincts Market, the first market shed on this site was built around 1805 on land first offered for a public market by John Eager Howard in 1782. 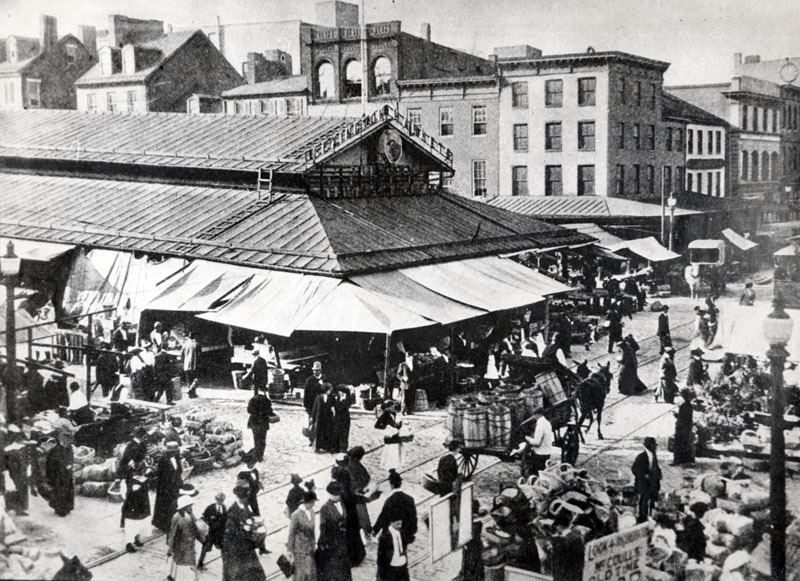 Lexington Market was an overnight success as local farmers flocked to the site to sell their produce. 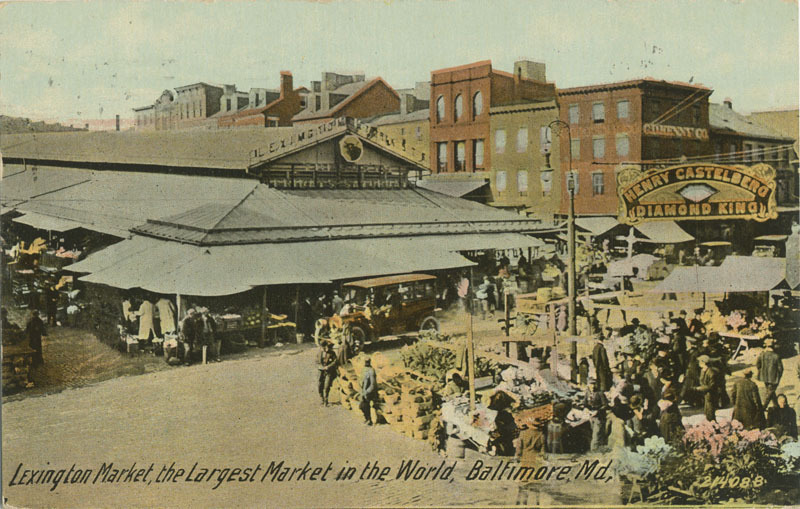 Although the original intention of the market was to sell only Maryland-grown produce by the turn of the twentieth century, the market offered an international selection as thousands of immigrants moved to Baltimore and became both vendors and customers at Lexington Market. 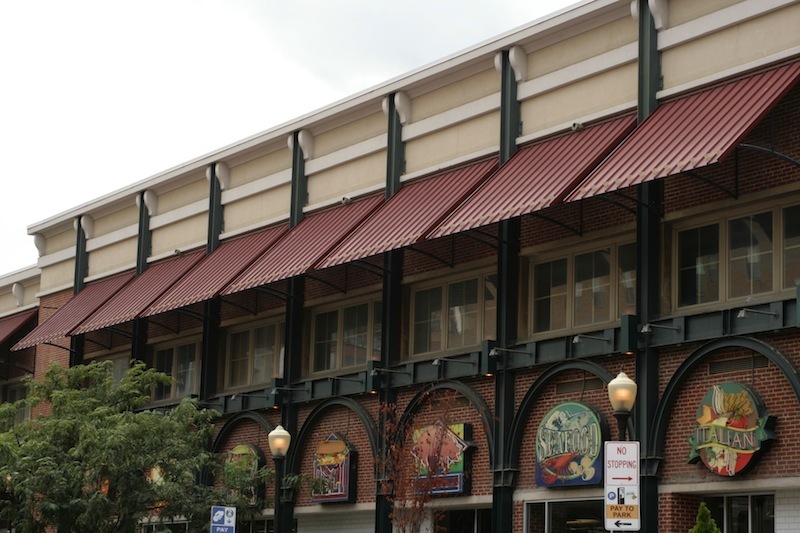 The city kept the price to rent a stall at the market low to encourage aspiring business owners to get their start. 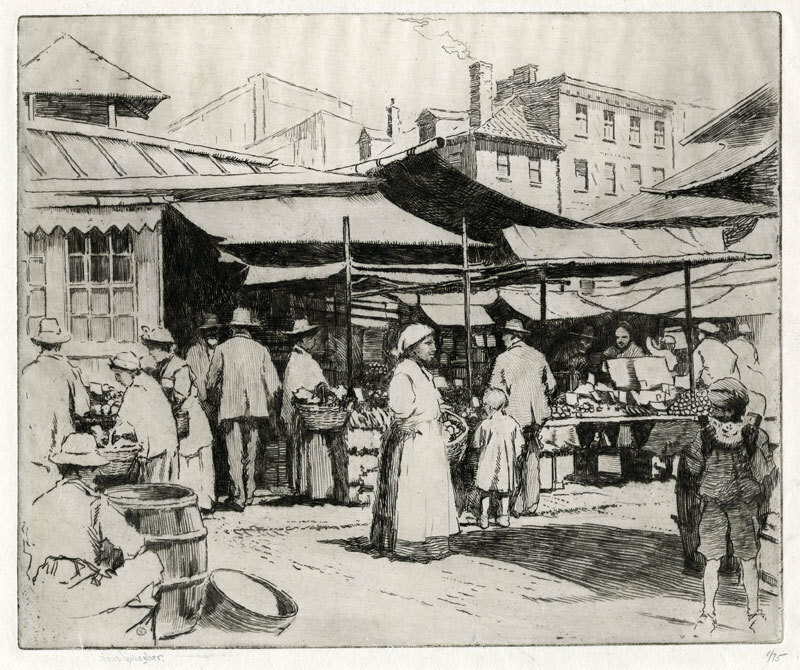 This practice was particularly beneficial for immigrants who had few job opportunities upon entering the United States. 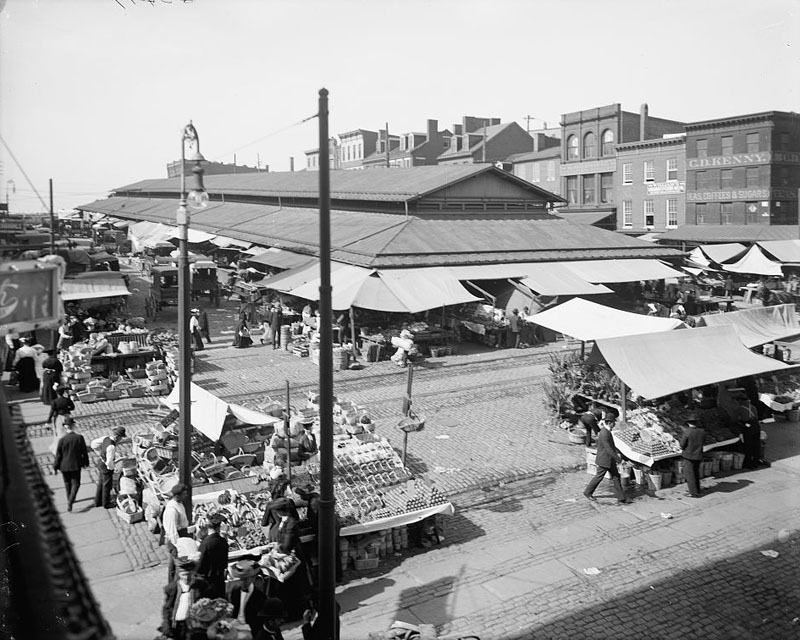 As a result, immigrant communities grew around Lexington Market and helped establish a diverse community in West Baltimore. 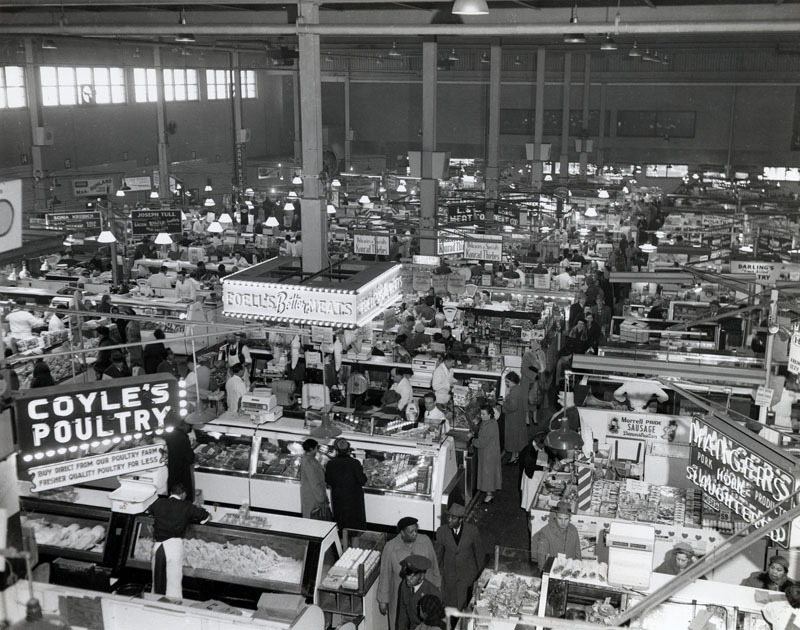 The new products offered at the market contributed to the international fame it would attain at the turn of the century. 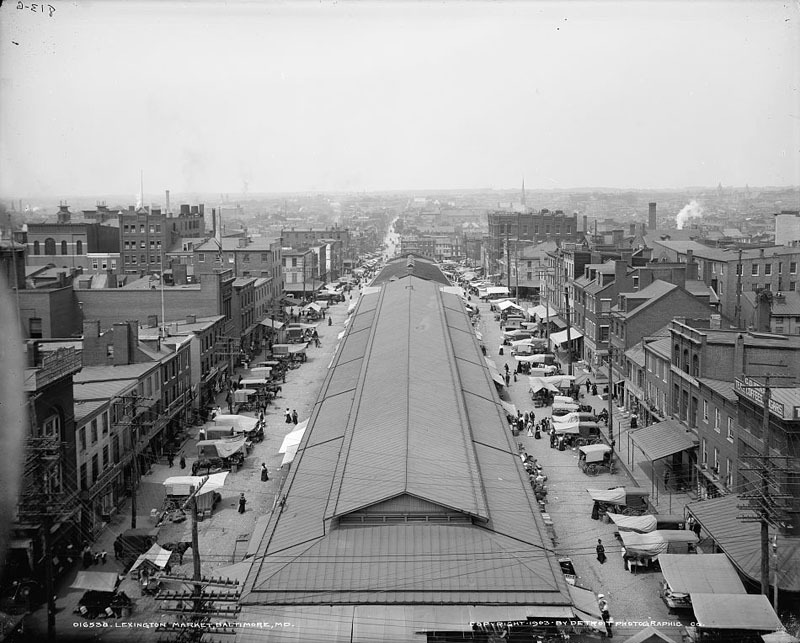 While the form of Lexington Market has changed dramatically over the decades — the early frame market shed was replaced in 1952 following a 1949 fire and the city significantly expanded the market in the 1980s — the community of vendors and locals continues to draw crowds of residents and tourists daily. 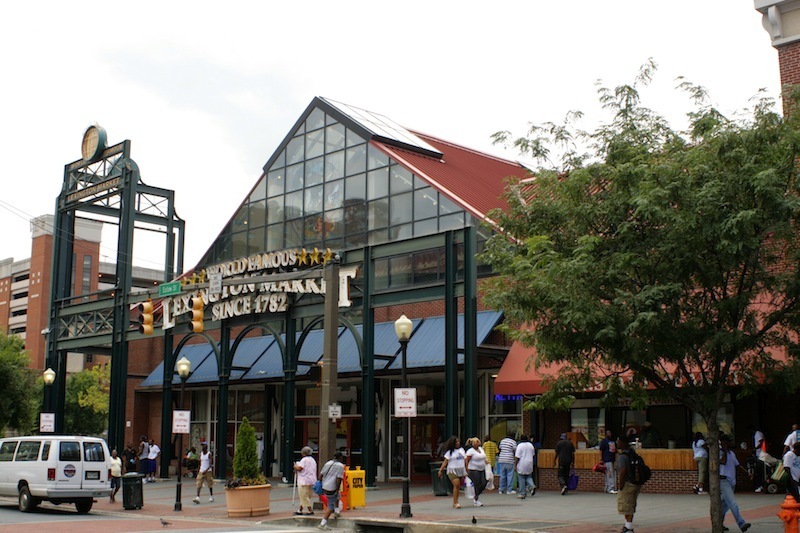 "Lexington Market. 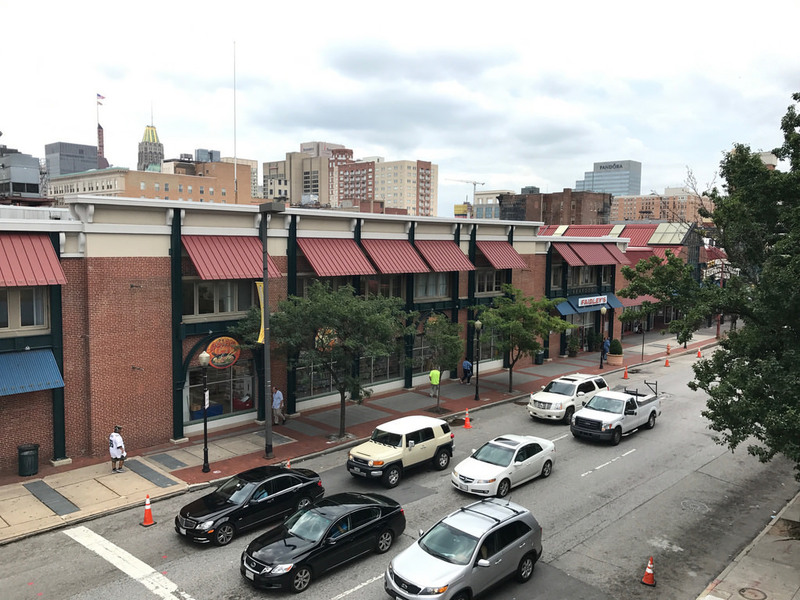 Baltimore. MD." 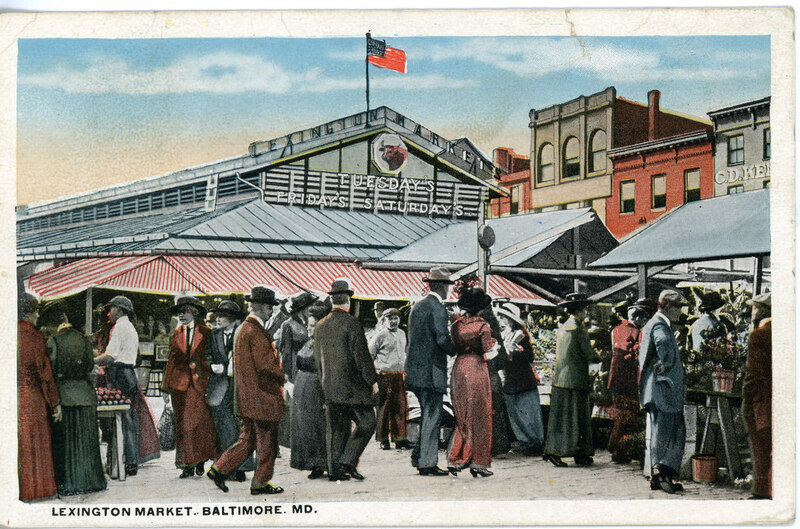 Postcard: Postcard from the Doris Bernhardt Postcard Collection donated to Baltimore Heritage by Johanna Schein, 2017 January 18. 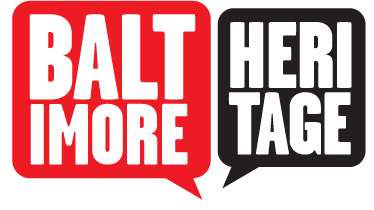 Baltimore Heritage has not researched the copyright status of this item. 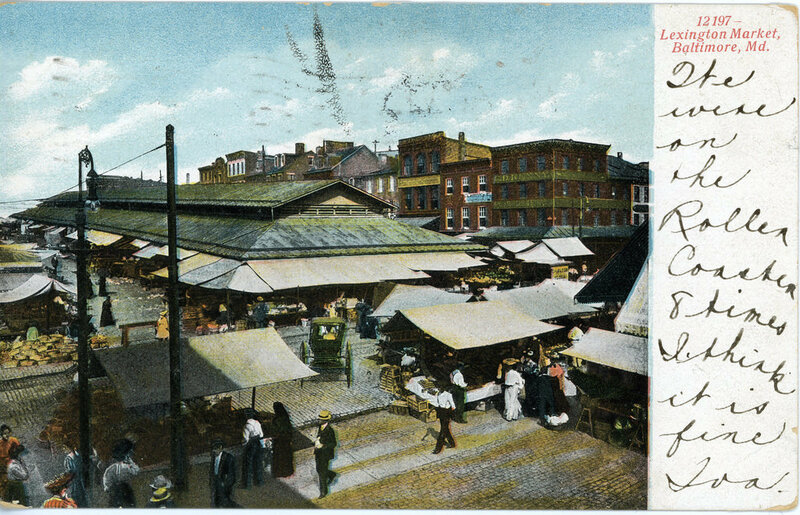 Keegan Skipper and Theresa Donnelly, “Lexington Market,” Explore Baltimore Heritage, accessed April 19, 2019, https://explore.baltimoreheritage.org/items/show/63. Published on May 2, 2012. Last updated on Dec 13, 2018.